Proper lighting is essential when you're painting. The wrong type of lighting will make things look very different. Today I'm going to talk about different kinds of lighting and the a/effect it has on your hobby. First off, why is having the right light important? Put simply, when you're trying to paint anything, you want to be able to see the colour's you're actually painting. The extreme example would be painting with a red light - obviously not something you want to do. Well, even "white light" has different levels of "white", so you'll still be casting a light on your colours that makes them look different than they actually are. There's the same shot, 3 times, under different sources of light. I've included a coloured mini as well as a white truck bed. Notice how the white begins to tint, lights start getting coloured and darks end up muddy. You can see the best shot is on the left, to the worst on the right. Obviously, the picture on the left looks best. The white is pure and colours look vibrant. This is shot using a traditional tube fluorescent light. 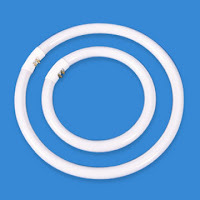 These are the long tube lights you see in offices and donut-shaped ones found in some desk lamps. Fluorescents are your best option when looking for a painting light, the easiest style is a desk lamp. Also, these bulbs last a loooong time. 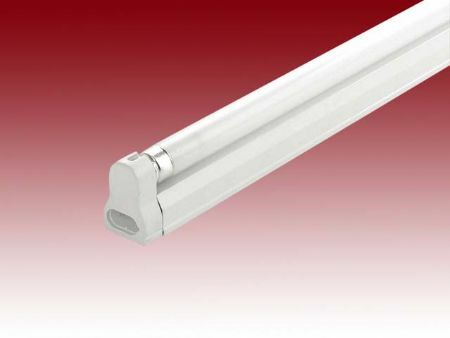 * Warning, long fluorescents mounted on ceilings are usually high voltage, so don't mess with them. * Not to be confused with Neon Lights, which while similar, are typically the shaped coloured lights in store signs. In the middle photo, things don't look too bad, but certainly not as clean as the first shot. Packaging may advertise "lumens" - this is the intensity of the light, (higher number is better) but not necessarily the "whiteness". Projectors with a high enough lumen rating can project images in normal daylight, rather than a dark room. The right photo is shot with a CFL as the light source. The light is above the shot, and not through a lamp shade. 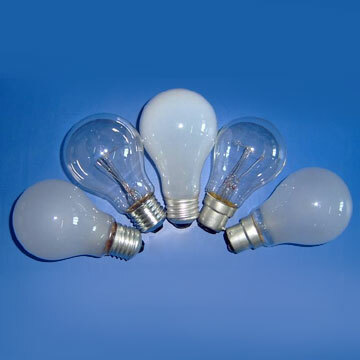 Traditionally, these are known as "Incandescent" bulbs and look like what we normally think of when we think of lights. Even though the glass is clear or white, these lights usually cast more of a yellow glow over things. 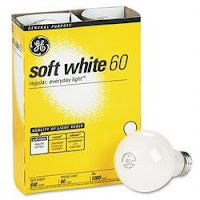 I'm not sure how widely spread the new Compact Fluorescent Lamps are around the world, but here in Canada it's getting harder to buy anything else. The photo on the right was shot with one of these, so as you can see, they don't actually look as good as larger fluorescent lights, but certainly don't create the strong yellow glow of normal incandescents. The reason countries are changing over to them is because they're more energy efficient and last longer. 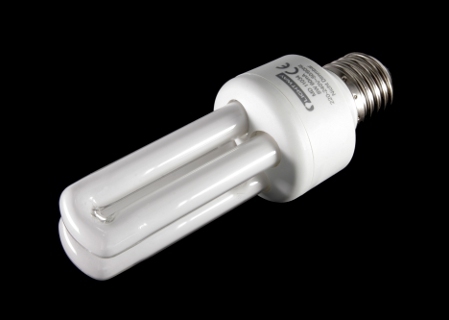 (About as long as the number of incandescents you could buy for the price of one of these) Unfortunately they have mercury in them so many places won't accept disposals forcing people to throw them in the trash to contaminate landfills. (But hey, that's for our kids / the next administration to worry about, right? Easier than just turning lights off when they're not in use.) 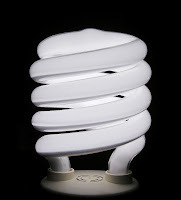 The good news is some brands are sold "shatter proof" to contain the mercury in case you break these in your house - there's a few horror stories out there of hazmat charging tens of thousands of dollars to clean houses when someone terrified of the possible contaminants from a broken bulb calls health officials. Also, they might not turn on in cold weather; good thing Canada's not.. oh, right. Some people don't have the ability to setup a desk in a spot the sun will hit and lugging supplies outside constantly can be a pain. Even if you have somewhere in the light, it might only work for certain hours of the day and could add red tints. You can't rely on the sun at all times throughout the year, be it a rain storm or muted winter. Sometimes it's just too hot to work in direct sunlight. 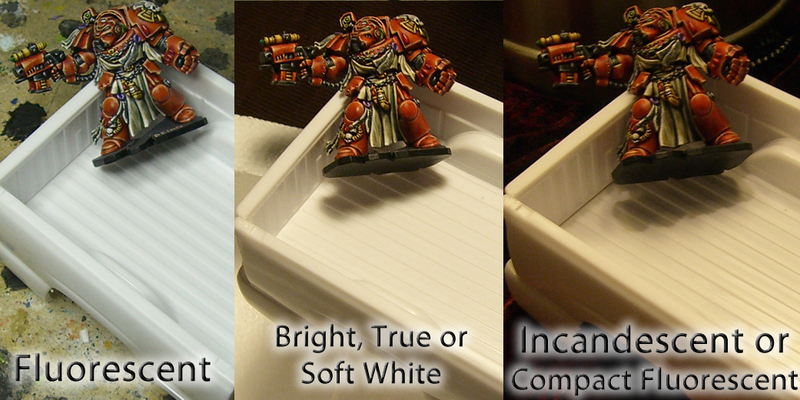 Sunlight can fade the pigments in some paints - just keep your paints and minis out of direct sunlight. All that said, there's nothing like placing a desk in front of the right window and painting while the sun bears down on you. Whenever I've had a place with the room, this is how I setup. If anything, open some blinds. I want to just quickly touch on these briefly enough to suggest you avoid them. 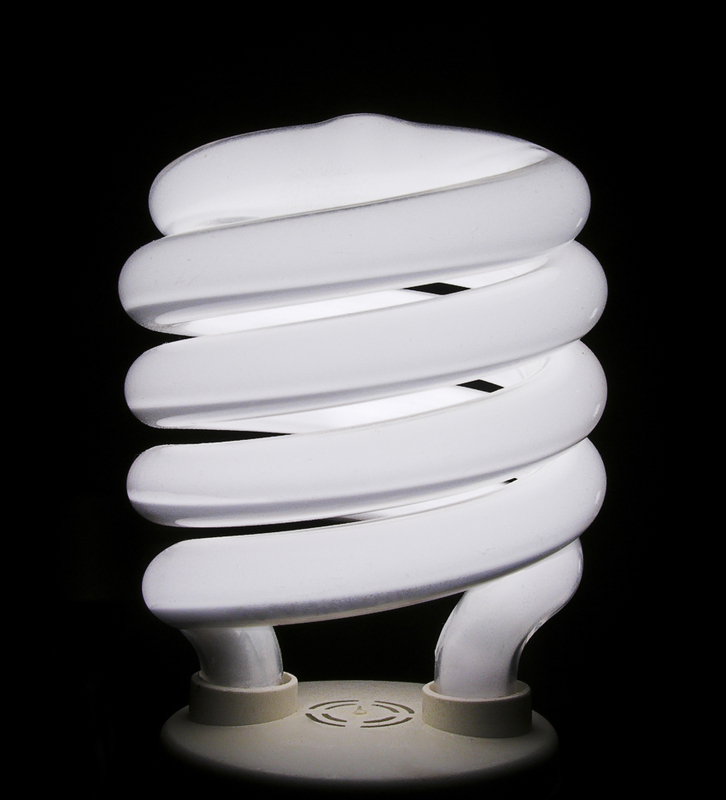 Before CFLs, LEDs began to be seen often in consumer locations because of how energy saving they are. Personally, I don't like their light. Yes, they're a strong white light, but it's also an unnaturally white light - as if the whiteness takes over rather than bringing out the colour. Great flash lights, but not great for colour quality. Just a few things to keep in mind when setting up your light. Whatever your source of light, just make sure it's placed / angled in such a way that when you're leaning over your hobby desk, you don't get in the way and cast a shadow over your work. Don't place the light somewhere it'll shine in your eyes, this is just irritating. These problems can be lessened by using your walls to create a ambient light around the room rather than a strong spot light in one area that could wash colours out or be too bright in your eyes. A strong light focused at a ceiling or a wall can light a room or a painting area better than a basic lamp and will create an ambient light in the room covering everything. Light can bounce off of coloured walls (paint, wall paper, posters, etc) and cast other colours on your work area. 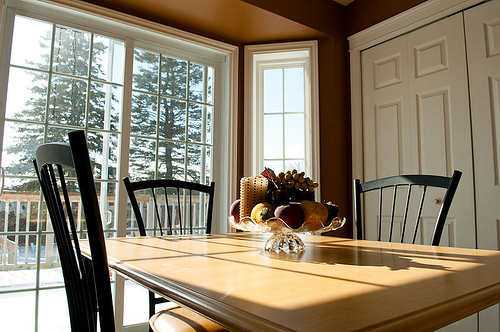 Whitish walls are best for a painting room and will help the ambient light level. This is like how a photographer will setup a bunch of umbrellas and blinds, then shine strong lights on them instead of their target. "For instance, the lamps I use on my desk came from Ikea, and the standard short tube flourescants that are available in Ikea are very warm especially for a flourescant. 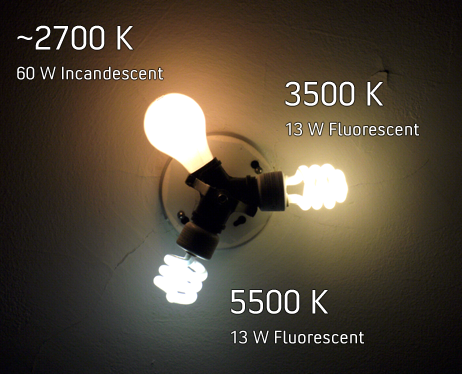 almost as warm as an incandescant, about 3000k, wheras the bulbs I use now(purchased online), with exactly the same fitting and appearance, are closer to 5000k. 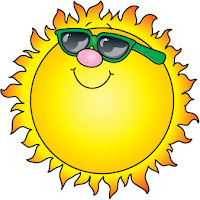 What you are really talking about in your article is colour temperature, and as a general guide incandescant are warm and yellow, and flourescant are colder and bluer. some flourescants can be too blue. but if you have fourescants, are wanting that cold daylight look, and finding them too warm, it may well be a good idea to grab a cooler bulb from an online specialist. If you want to know colour temp of light, a photographers lightmeter - or i'm sure theres an iphone app, will tell you :)"
Now, I don't normally see these ratings on bulbs when I'm in stores, which is why Karitas points out you may have to go to a specialist for the right bulb. Also keep in mind that as light reflects off your walls or the colour from your walls is reflected, the temperature will change. Also, as sunlight changes or light from other rooms leak in, again, things can change. Will most of us use a lightmeter when building our hobby area? Probably not, but this is an excellent point in understanding what to look for. 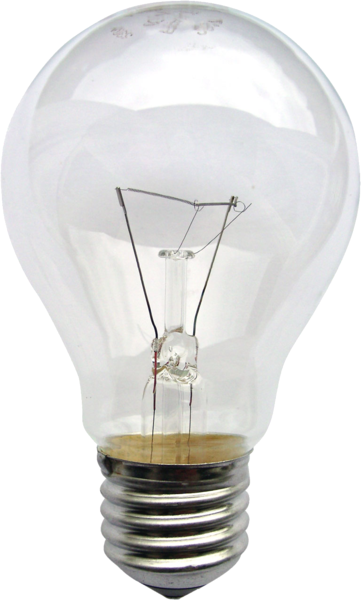 Without getting too technical, if you can find a bulb in the 4500K - 5000K range, (I don't know exactly, this isn't my field and I haven't done much research on it) you'll be in the ball park as far as the colour you want your light. 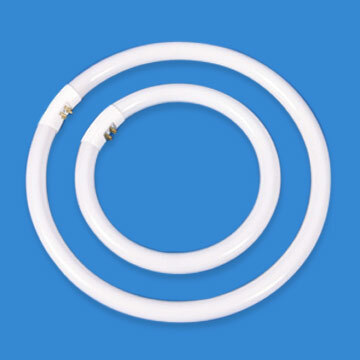 This means that by shopping specialty (perhaps in a lighting store or online) you might not have to buy a neon lamp, and can just buy a cooler light that fits in a regular screw-in socket. Great article. I can't paint without ambient lighting, glad to see you touched on that. Also reminds me of how much I hate CFL's. Really good article, but if I may I'd add a few thoughts about colour temperature. While your points are a good general rule of thumb there are (as always) exceptions. 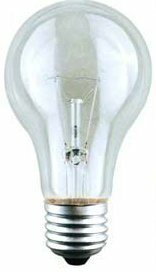 for instance, the lamps I use on my desk came from Ikea, and the standard short tube flourescants that are available in Ikea are very warm especially for a flourescant. 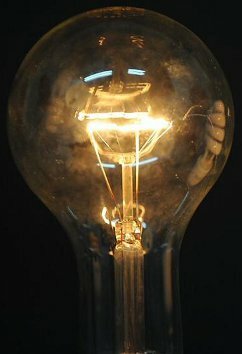 almost as warm as an incandescant, about 3000k, wheras the bulbs I use now(purchased online), with exactly the same fitting and appearance, are closer to 5000k. @Karitas: Excellent point, thanks very much. I've gone ahead and updated/reposted the article, quoting you, because I think it's worth being part of it. Neat article. Im glad I got the Fluorescent light. Thanks for the great article. The difference between the 3 test photos is quite incredible.